Remember that the will of God is not easy but His will is always worth it. It was not easy for Jesus to accept the cup of suffering(The Will of God) but He did, and as we all know it was worth it. Remember that His sacrificial service to die so that we might live Was Not easy but Jesus died, and guess what on the third blessed day Jesus Christ arose! He is able, and because He is able we are also able to do much more than we could ever dream through Christ who strengthens us! He did not let the cup of suffering pass Him by. He did not give up on His sacrificial service. How often do we feel like giving up on our worship to God? We can learn a lot from the tenacious Spirit of Christ. We can learn a lot from Christ on holding on through prayer and fasting. He did not let go, He held on, and He held on for you and I because He loves us THAT MUCH! Yes He loves us, His love conquers all. He is a living testimony. And because He lives we to shall live and not die, we shall live to proclaim The Word of our Lord, Saviour, and King. We shall live and testify of His goodness, and lost souls shall be convicted, the blind shall see, chains shall be broken because of our testimonies. We shall continue to offer up praises from our heart to The Lord in every situation for He is our strength and our firm foundation. We shall not grow weary for through Christ Jesus we have been made strong! Through Christ Jesus we have been made whole! We are heirs of salvation, we can do this! We can accept His will, we can worship The King, and we shall ARISE! Amen! 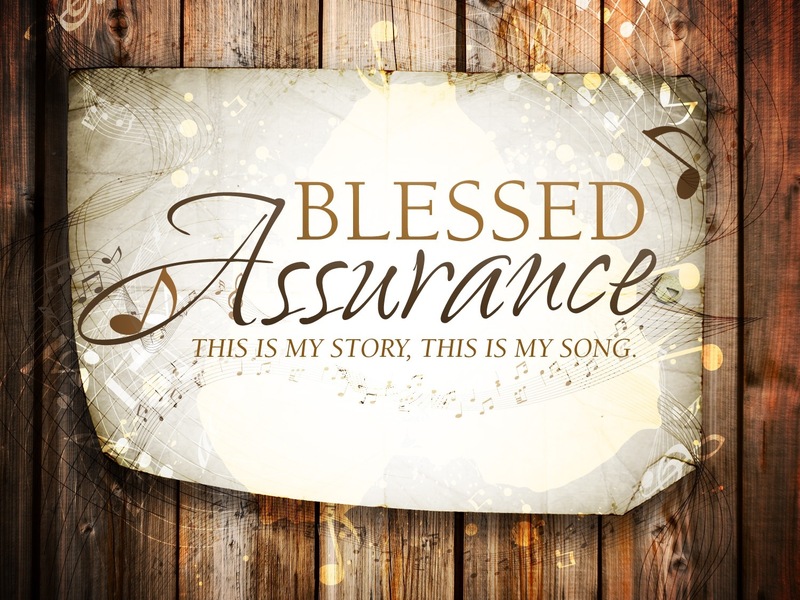 You see that’s why I love that song so much blessed assurance! Its a Blessed Assurance that Jesus Is Mine! And oh what a foretaste of glory divine! I am an heir of Salvation! Hallelujah, and I am a purchase of God! My story is a sacrificial service of worship. It is a blessed assurance that I am an overcomer. My story has been perfectly predestined by God it is His will. My story is to be a living testimony. My story is to give glory to God. My story is to ARISE. This is my story, and this is my song to praise my Saviour all the day long!